Olympic and Commonwealth medals dating from Games in the 1950s and 1960s have been stolen from a home in Monks Risborough. The medals were among items stolen during the break-in, which happened between 5pm on Sunday March 3 and 2.45pm on Tuesday March 5. 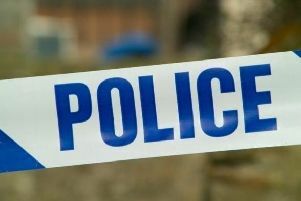 The side window of a home in Burton Lane was forced open and items including Olympic and Commonwealth medals were stolen. These medals include silvers from the 1966 Commonwealth Games in Jamaica and golds from the 1962 Commonwealth Games in Australia. Investigating officer Detective Constable Francesca Keen said: “This offence has caused the victim to lose items of high sentimental value to them. “You can get in touch with us using our online form or by calling 101, quoting reference 43190068853.